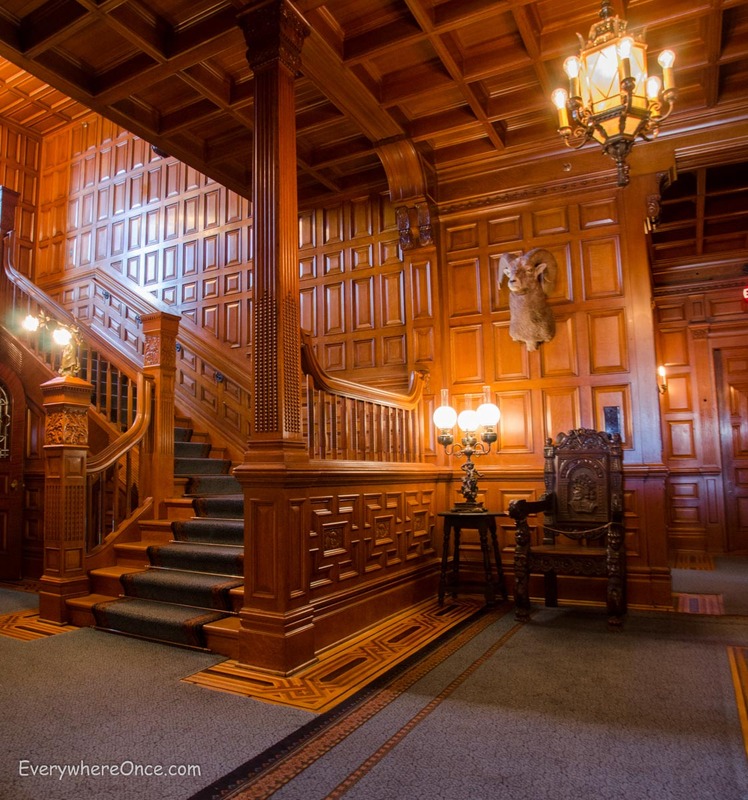 Start your day with a self-guided tour of “Romanesque” Craigdarroch Castle. At a whopping 25,000 square feet, this not-so-humble abode wowed us with 83 times more space than the RV we called home for the past four years. Unfortunately for coal baron Robert Dunsmuir, he passed away before construction was completed, but his family finished the task and moved in ten months later in 1890. Less than thirty years after it was built, it was raffled off by a developer as part of a land deal. Sporting stained glass and intricately carved woodwork, the four-story mansion was used as a military hospital and a conservatory of music before being put on display for tourists looking to glory in the past. 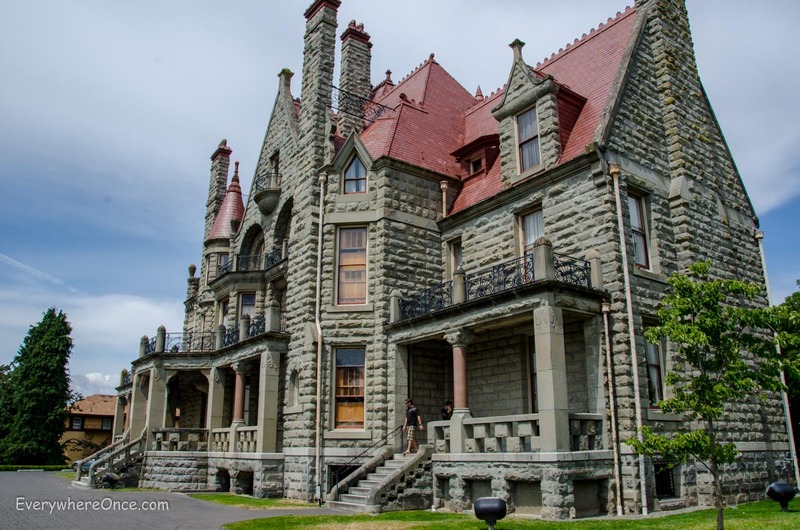 From Craigdarroch Castle take a leisurely two-kilometer stroll through residential Victoria en route to historic Market Square (or take the number 11, 14 or 15 city bus). Spend the rest of the morning browsing the Square’s local boutiques in this unique brick-and-beam building that surrounds an open-air courtyard. After a morning of sightseeing and shopping, stop by neighboring Chinatown for a hearty lunch. 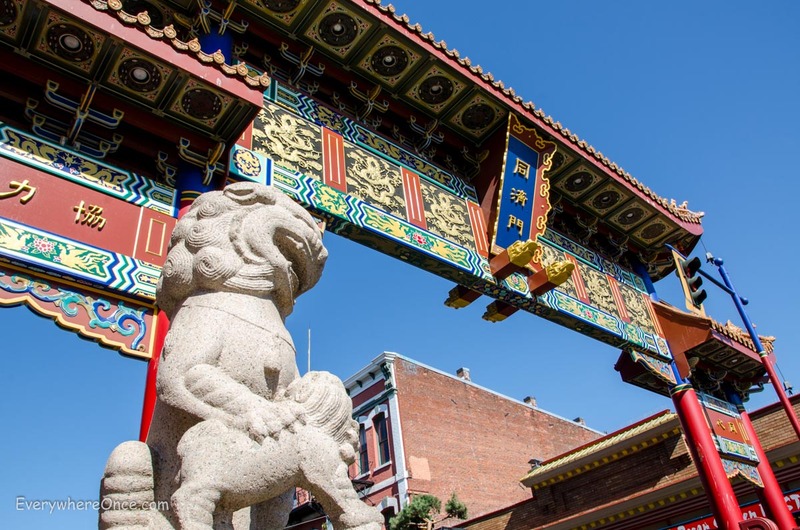 Don’t miss the fierce-looking lions guarding the elaborate Gates of Harmonious Interest that lead into North America’s second oldest Chinatown. Exit Chinatown via colorful and diminutive Fan Tan Alley. 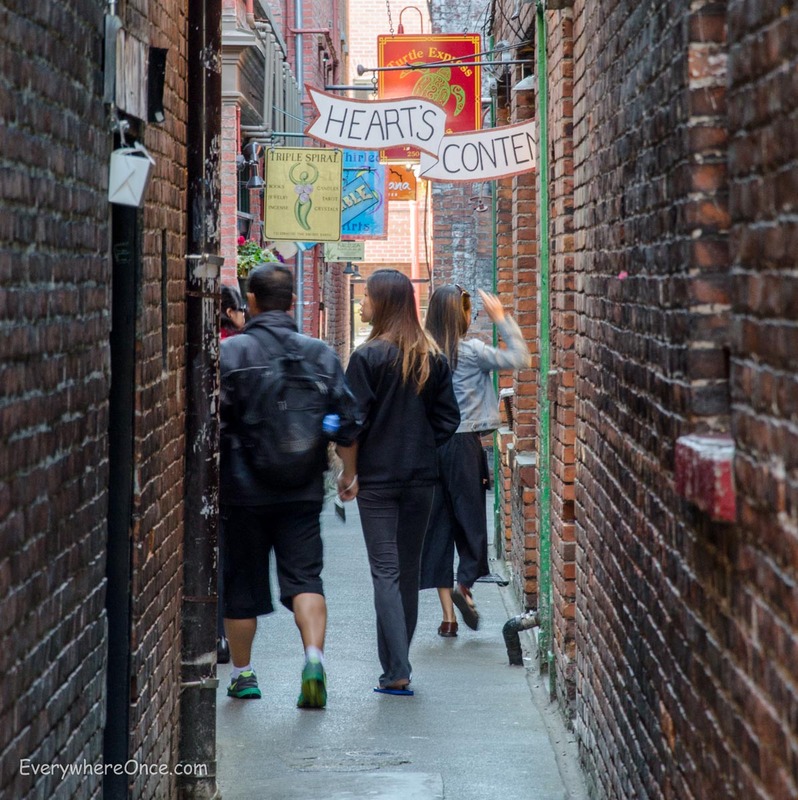 This narrowest street in Canada, ranging from five feet to 35 inches wide, has morphed from a gambling and opium haven into a retail shopping destination. 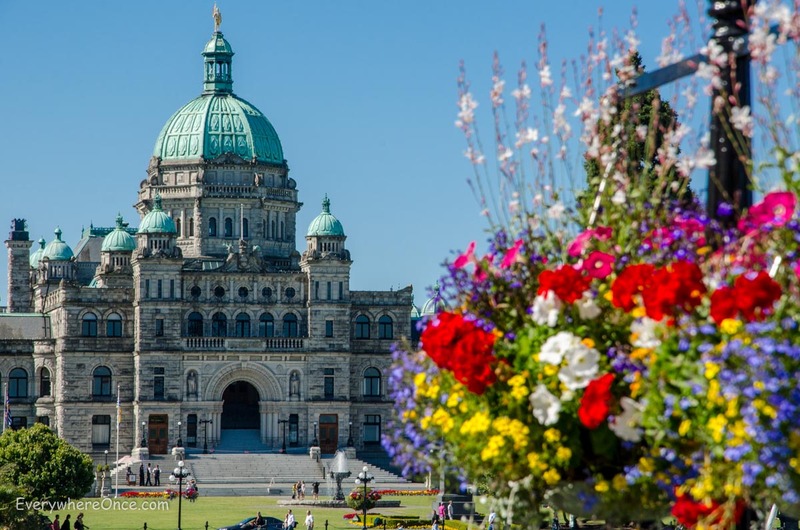 After a restorative lunch, meander another kilometer along Victoria’s beautiful Inner Harbour as you make your way toward the city’s star attraction. Audacious young architect Francis Rattenbury lied on his resume, claiming to be the creative genius behind structures constructed before he was even born, and entered a contest to design a new Parliament building in Victoria. He got the commission and conjured up an eye-catching, neo-Baroque structure topped by an ornate blue dome. Traipse through the building (in use since 1898) on free guided tours to see more of Rattenbury’s handiwork and cross paths with a costumed actor playing the part of the architect. 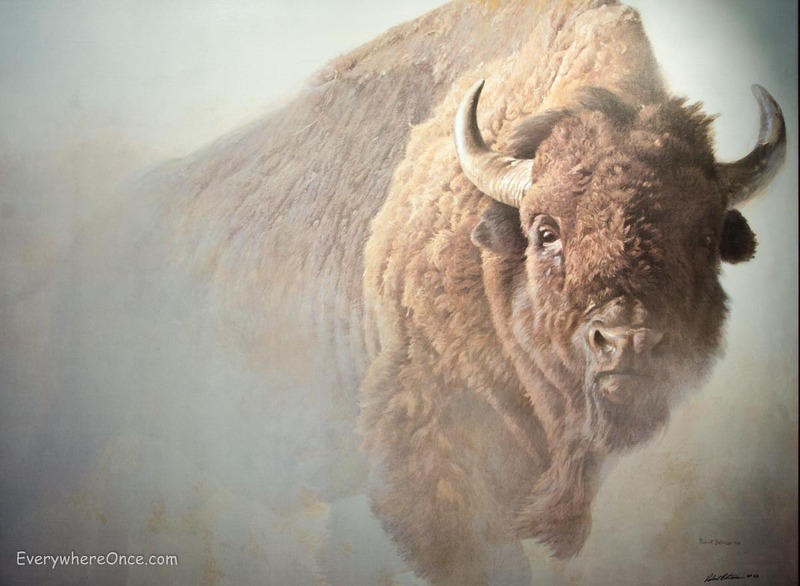 A mere two blocks from Parliament is a museum dedicated to the work of native Canadian and naturalist Robert Bateman. ← Chinatown Murals, Vancouver, B.C. I’d put the Royal BC Museum on the list too, especially if the weather is bad. I was lucky enough to get to see the inside of Governor’s House ( it was Victoria Day and the Queen’s jubilee year), but usually you can only see the grounds. 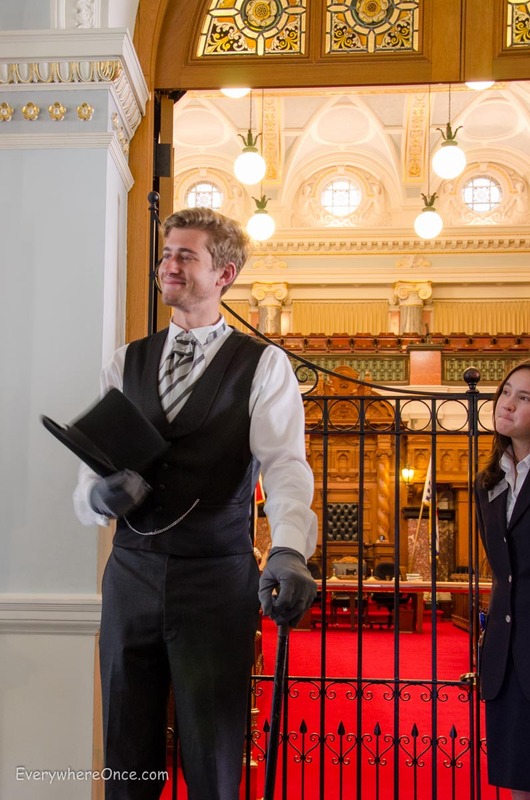 Yeah, the Royal BC Museum deserves a mention because it is one of Victoria’s top attractions. It didn’t make our list, though, because as much as we really, really love museums we almost always skip the natural history kind – which is why we missed the Royal B.C. and therefore can’t personally recommend it. But we hear from others it’s lovely. Agreed, I skipped the dinosaurs. But there was people history on the top floor. Not up to the museums in Vancouver and Ottawa, but certainly worth seeing on a wet day. I loved Victoria, we were there several summers ago as part of a roadtrip. I was amazed and how lost you can get in chinatown, going from one store to the next through interior doors and not realizing you have gone through a dozen until you step outside. 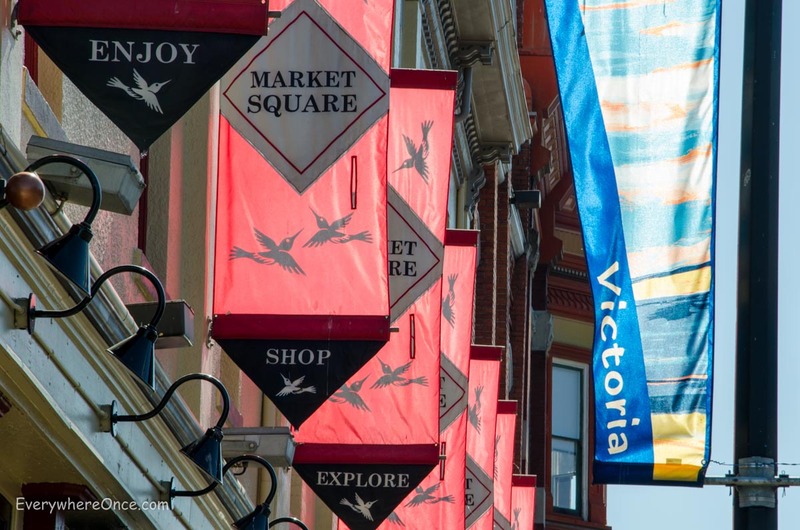 You make Victoria look great. I’m ashamed to say we usually just buzz into the city for supplies we can’t get on island and then get the next ferry out. We did take the children to the Royal BC Museum at Christmas, and while the natural history part was fine, the aboriginal portion of the museum was excellent. Of course I have a great interest in historic crafts and skills so I am probably biased. Fabulous post! I’m moving to Victoria at the end of the month. Can’t wait.